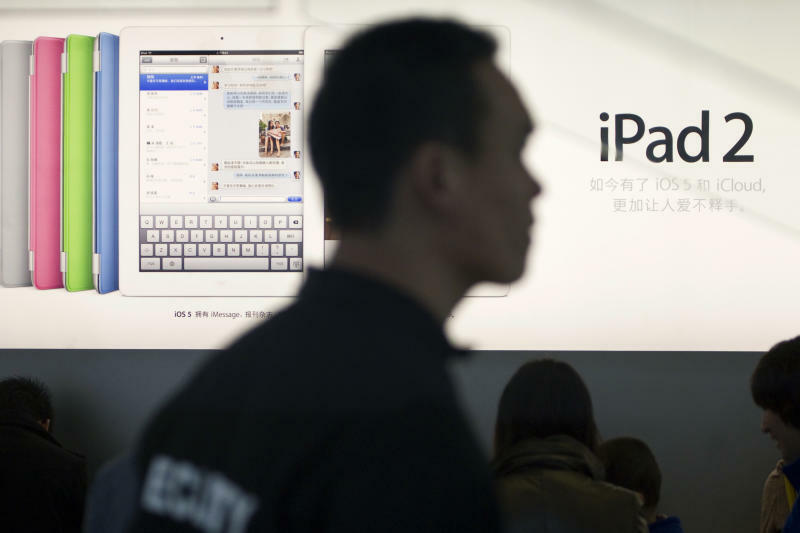 SHANGHAI (AP) -- A Chinese court is mediating between Apple Inc. and the Chinese company challenging its right to use the iPad trademark, seeking to get the companies to settle an awkward standoff over the issue. The Guangdong High Court in southern China, is seeking to arrange a settlement, said Ma Dongxiao, a lawyer for Proview Electronics Co. The court on Feb. 29 began hearing Apple's appeal of lower court ruling that favored Proview in the trademark dispute. "It is likely that we will settle out of court. The Guangdong High Court is helping to arrange it and the court also expects to do so," Ma said Monday. China has sought to showcase its determination to protect trademarks and other intellectual property, but with hundreds of thousands employed in the assembly of Apple's iPhones and iPads is unlikely to want to disrupt the company's production and marketing in China. Court officials contacted by phone said they were not authorized to comment on the issue to foreign media. The Shenzhen Special Zone Daily, a state-run newspaper in Shenzhen, where Proview is based, cited the court's deputy chief judge, Xu Chunjian, as saying last week that the court was working toward a settlement. Proview, a financially troubled maker of computer displays and LED lights, says it registered the iPad trademark more than a decade ago. Apple says Proview sold it worldwide rights to the iPad trademark in 2009, though the registration was never transferred for China. "Actually Proview always expected to settle out of court from the beginning," Ma said. "I don't know if Apple has changed its attitude, but I believe that the key point now is the price." Chinese courts often try to mediate agreements out of court. But it is unclear whether Apple is open to that option. An Apple spokeswoman, Carolyn Wu, said the company had no new comment on the possibility of a settlement with Proview. In a statement, Apple reiterated its earlier insistence that it would never "knowingly abuse someone else's trademarks." The statement adds that Proview "still owe a lot of people a lot of money, they are now unfairly trying to get more from Apple for a trademark we already paid for."